Today is the launch of Empathy Day from Empathy Lab, a project which aims to emphasize the importance of empathy in our divided world, and raise awareness of the power of stories to develop it. 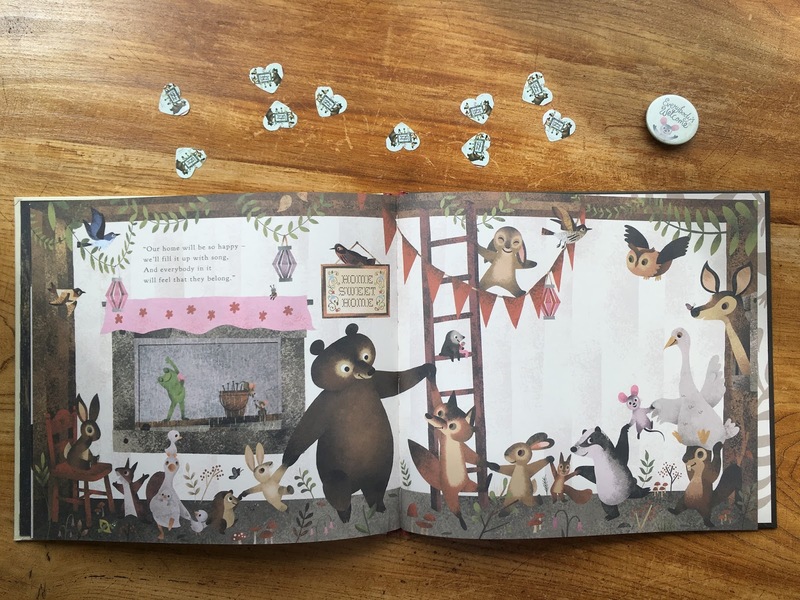 Thanks to the lovely Book Lover Jo for introducing me to this special and important day in her recent blog post 'Picture Books for Empathy Day'. Picture books are a great way to discuss and gently introduce the concept of empathy for the actively encourage us to step into another person's world and into their shoes. They teach us to see the world from different perspectives, to appreciate the experiences of others and to really look at other people and their lives without judgement and with respect. And so becomes the mission of these woodland friends. Rabbits scared off by an eagle: welcome. Lonely Bear who scares off any friends: welcome. Foxes, badgers, squirrels, hedgehogs, moles, owl, birds: all welcome. If everyone lends a hand they can all build a home that will house everyone. It's not hard to see the parallels to our society. If we all chip in and contribute we can make a society that helps and suits us all. A simple message but one that I really want BookBairn and The Wee Page Turner to hold in their hearts. There is enough room for everyone and if we all help each other we can live a happy life side by side. will feel that they belong." 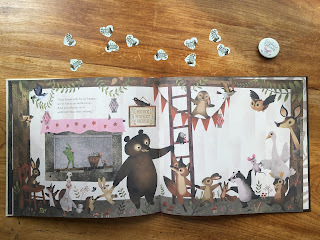 Accompanied by beautiful illustrations that BookBairn loves to pour over, spotting all her favourite creatures, this magical book really teaches little ones about acceptance, generosity and to empathise with others. Wouldn't it be nice if our society had a leader like mouse? That empathises with others and opens its doors to everyone? That's a world I want my children to grow up in. In our house, everybody's welcome! 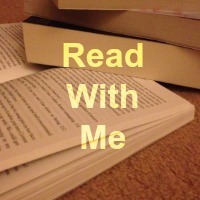 Feel free to pop over for a story any time! What a great theme and what a great book to introduce it to young readers. Also great pics of a happy, smiley BookBairn. Thanks! She's back to being her smiley cheeky self! One for all your libraries! You're welcome anytimr Catherine! Isn't it a beauty? A great book for sharing values with little readers! You're very welcome here anytime!